I am considering adding CUP vehicles to my server. Would i need to add each version of the vehicle to the trader or would i be able to add one and the rest to the vehicle custom trader? For example, there are 14 versions of the Golf. Could i add CUP_C_Golf4_random_Civ to vehicle trader and rest to vehicle custom so people could change how it looks when they wish. Been trying to find something on this for ages! Ive got all the CUP Vechs & Weapons, But cant seem to find how to enable the "duplicates" to be sold through the reskin "custom" trader. Only add the black civ golf and the camo dark sport golf to your trader buy lists. To understand how this works. Then to add your own. Open up arma 3 with the desired mods. start the editor. virtual reality map. 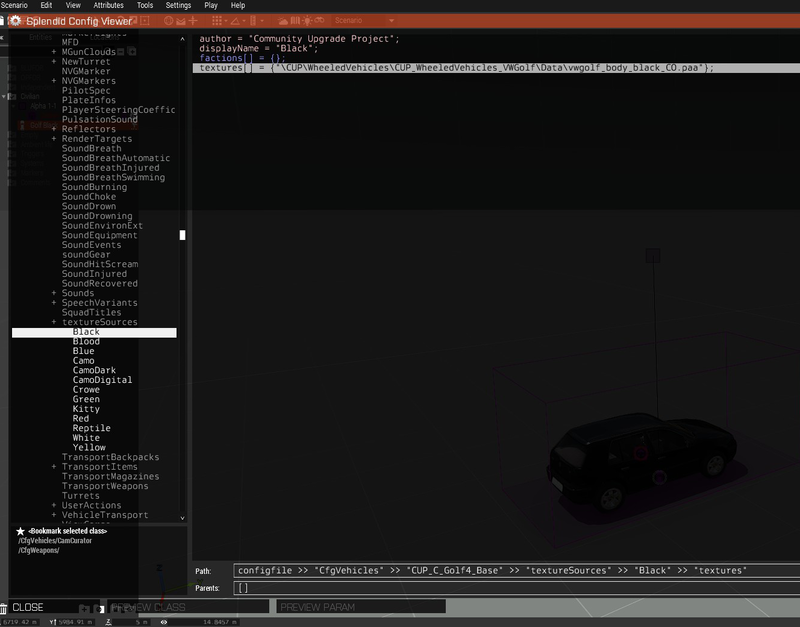 right click the vehicle > find in config viewer. Find the Base class in the left hand pane. Scroll down and find the option called + textureSources - Double click it. Now you'll have a list Black, Blood, Blue etc. select that line. ctrl+c to copy. then paste it in to your file. Does anyone have a complete list of the CUP vehicles?